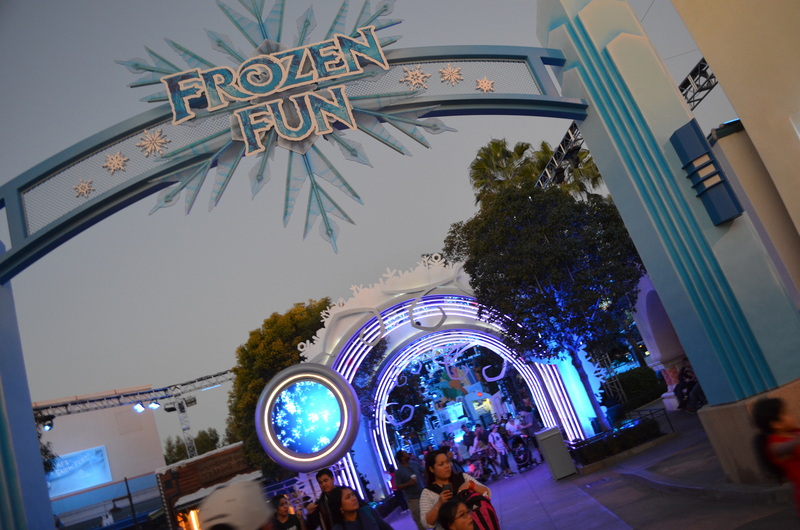 Frozen Fun has recently soft opened in multiple phases this past week at California Adventure, with a major one taking place yesterday. 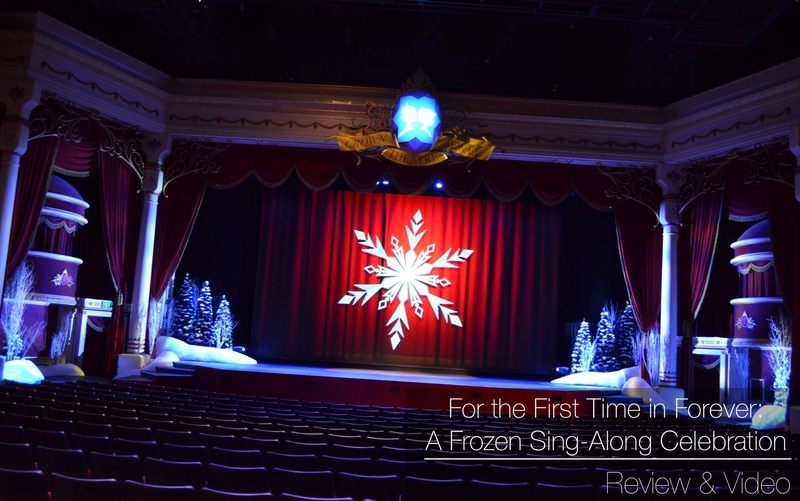 The Muppet Vision Theater closed a week few weeks ago and has now reopened as For the First Time in Forever: A Frozen Sing-Along Celebration. The Freeze the Night dance area and it’s offerings opened earlier this week, so this won’t be mentioned too much. 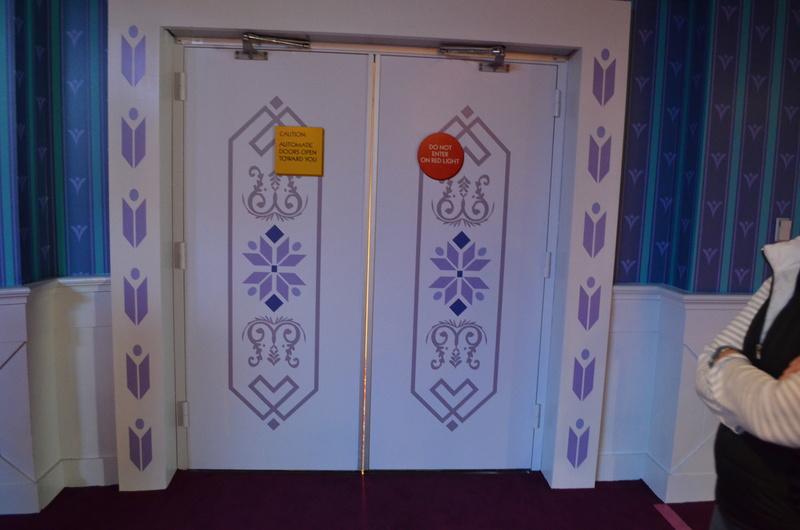 The Animation Building across the street is now filled with a Frozen meet and great for Anna and Elsa, and a show teaching you how to draw Olaf. 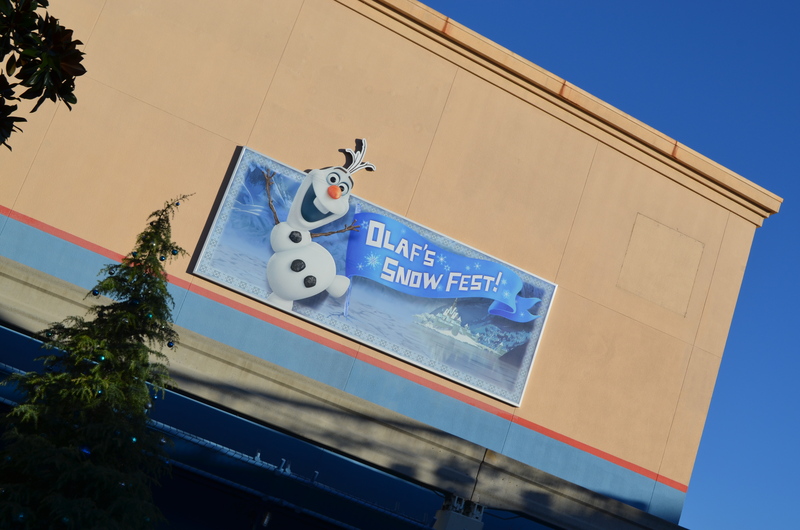 The element currently not opened is the Olaf’s Snowfest that will be housed in Stage 17. 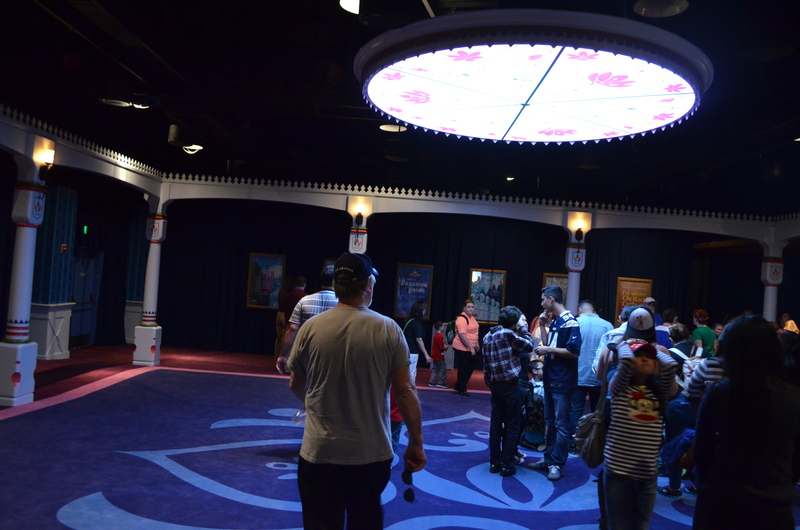 Many managers and show producers where out and about all day, including Mary Niven, VP of Disneyland Park. 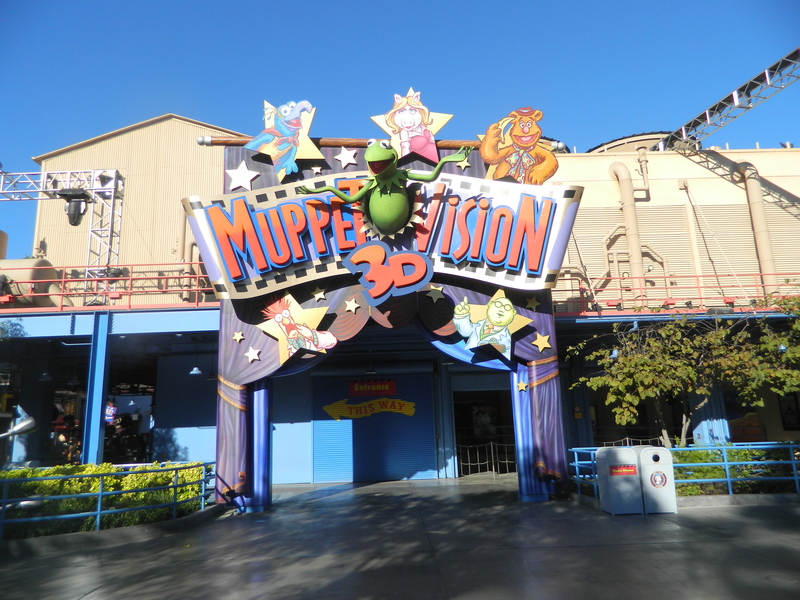 The main facade for Muppet Vision has been given a make over, and a new name, Crown Jewel Theater. 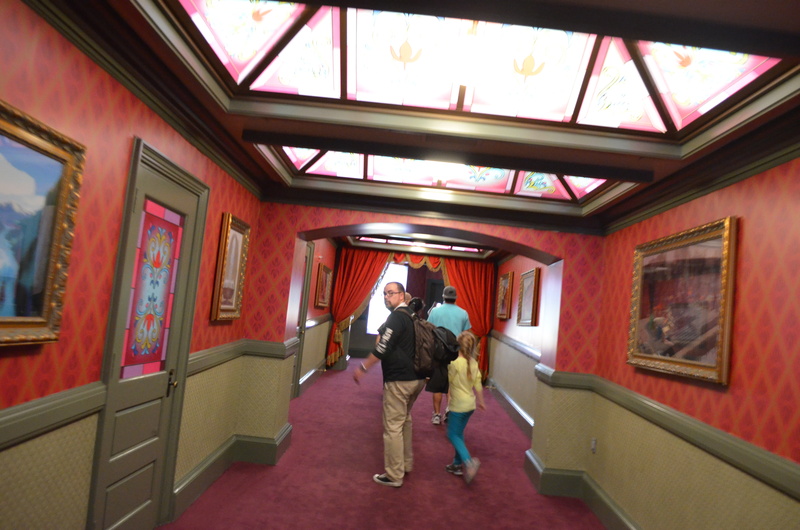 The walkway to the preshow/holding area has been given new carpet, paint, and props. 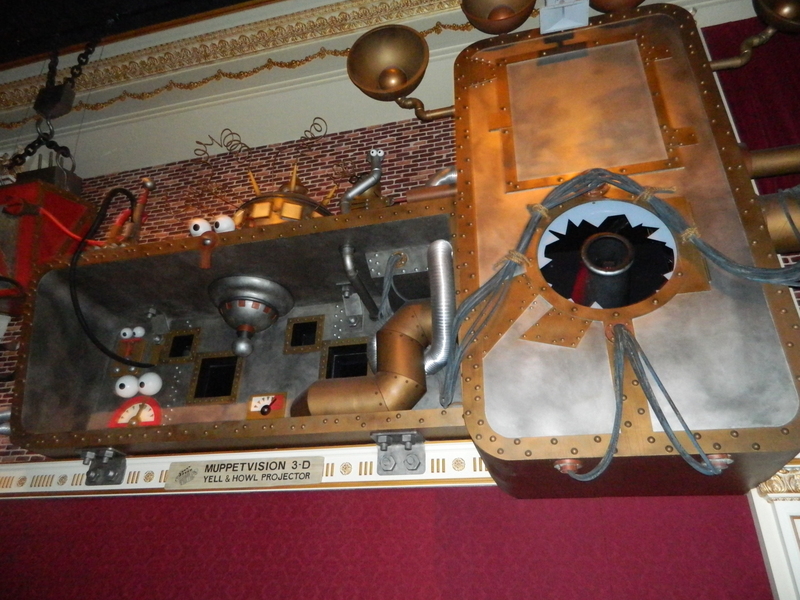 The biggest change to the venue takes place in what was the Muppet Vision preshow, full of props and television monitors. 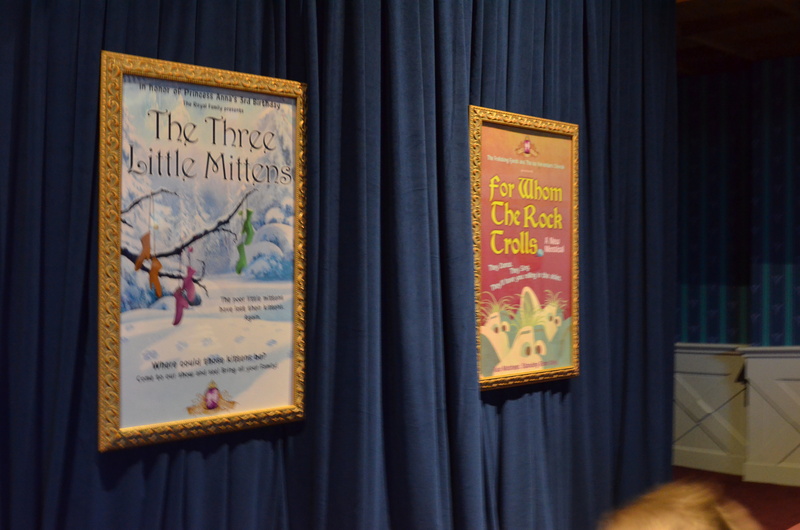 Now posters advertising fictional performances that would take place in the theater now hang on the walls. 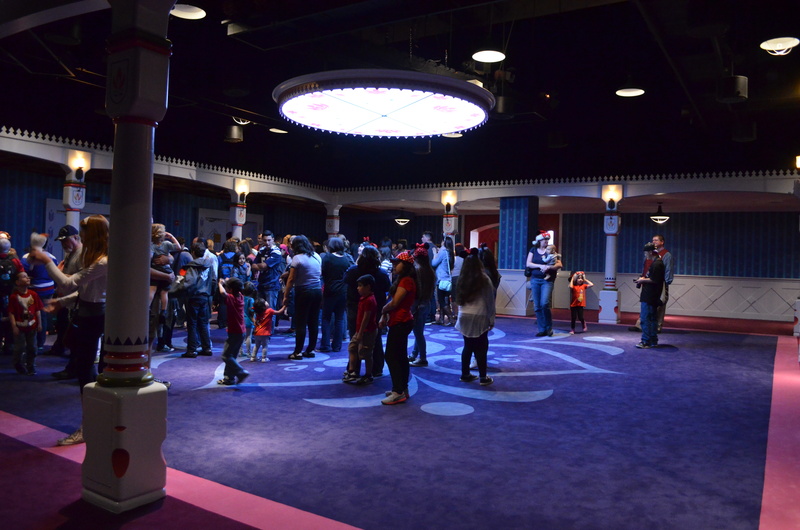 The main theater now has a small stage built in front of the old screen, a curtain covering the former project booth. A large LCD panel is now what displays the media. 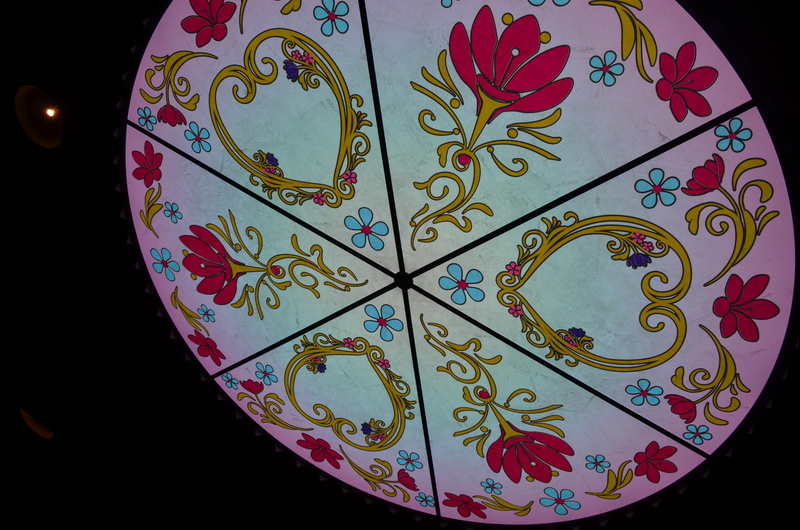 New projection of windows are located on the sides of the main theater. 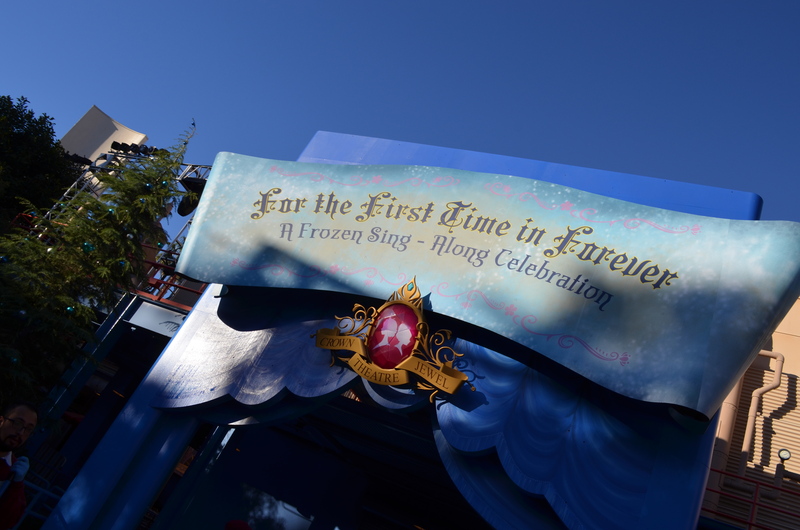 Some trees are located on the sides of the stage and new ornate embellishments have been added. 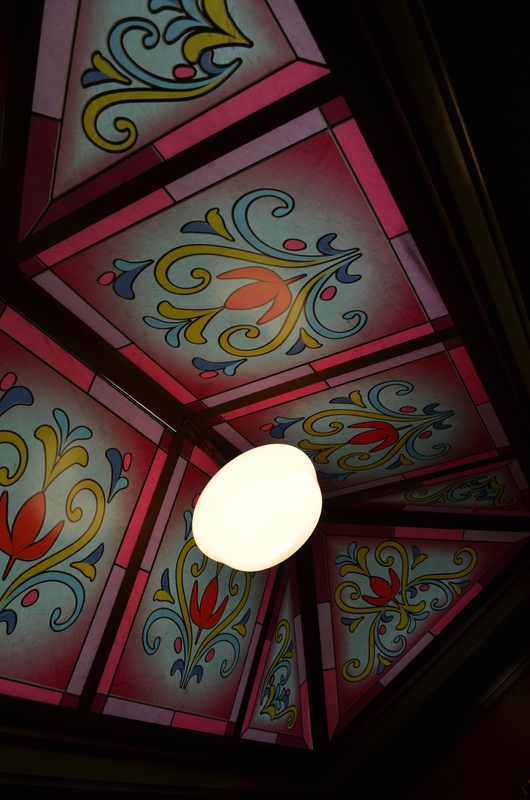 The show is approximately 30 minutes long, and features a story line that is similar to the Florida counterpart. 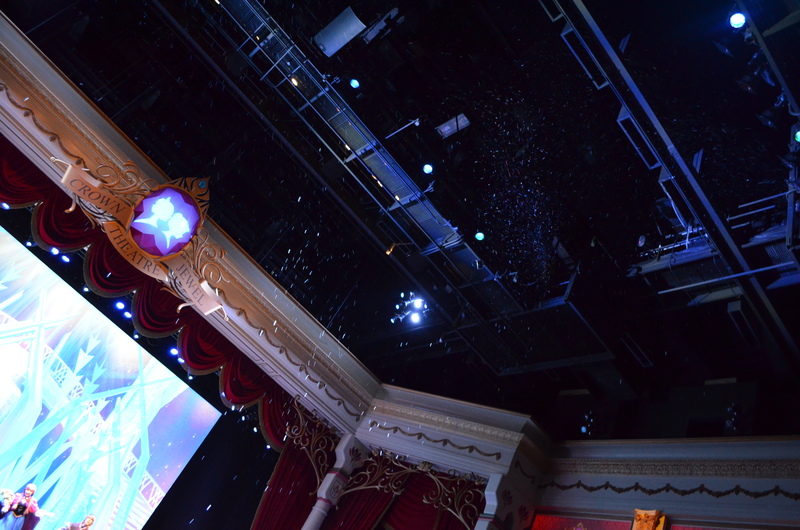 There are some in theater lighting effects and snow falls from the ceiling during the finale. Video of the full show.